Nicole Pearson came to town six years ago ready to take on the world. Or at least a degree from Fort Lewis College. If only it had worked out so simply. She met someone. Then came two children. Pearson, 26, said the relationship turned rocky, he developed a substance-abuse problem and they split. She and her two children, James, 5, and Grace, 3, abruptly fell into poverty. Pearson suddenly found herself navigating a social services system she never imagined she would need. Getting help wasn't easy, either. It took persistence, knocking on the doors of a number of local charities and fighting nagging feelings of guilt. Despite the innumerable challenges, Pearson said she missed just one semester of college before she graduated in May. “It was really hard, but I did it,” she said, fighting back tears. The difference having the degree will make in her life is dramatic: According to U.S. Census Bureau statistics, workers with a bachelor's degree on average earn nearly double that of workers with only a high school diploma. But Pearson's pride about her accomplishment is tempered with anxiety. After college, she found an entry-level job with the Tri-County Head Start program but doesn't make enough money to survive without help. The family lives in a two-bedroom, subsidized apartment and receives child care and health-care benefits. For now, she feels stable enough to fully enjoy happy moments with James and Grace, such as a recent night when the children put on costumes and composed a song and dance using a plastic toy guitar. But as she climbs the career ladder and sees income gains, she knows the so-called “cliff” looms, where help drops off before there's enough income to replace it. “I have to be right below the line that qualifies me for assistance or jump ahead to the one that pays enough to survive,” Pearson said. She's aiming for the latter and staying optimistic even though it's sometimes hard to not worry about what she'll do when her rent subsidy is reassessed next summer and the college student loans come due. She'll do everything she can to find a way through, she said. Persistence put her back on the road to financial independence, and she hopes it will take her the rest of the way there. James Pearson, 5, helps his mother Nicole Pearson, do laundry at the subsidized Durango apartment complex where they live. Pearson, a single mother of two, says she's motivated to pull her family away from a life of poverty. Click here to view an index of all articles in this series. 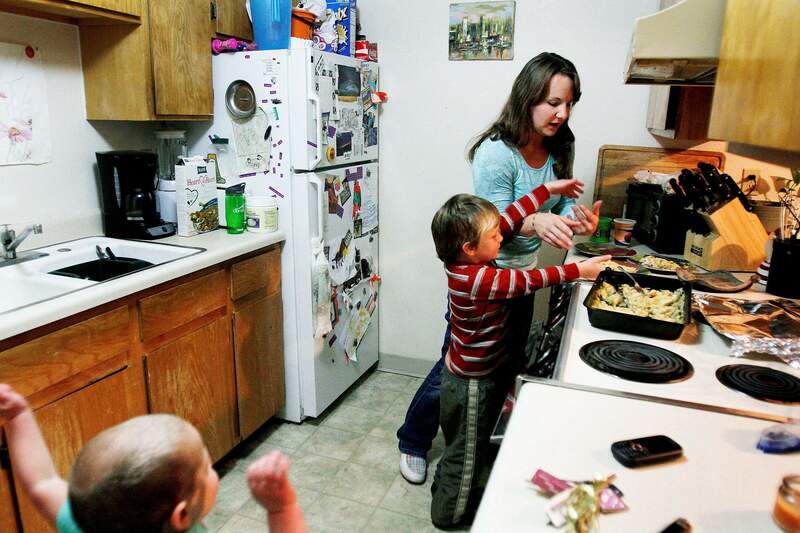 Nicole Pearson prepares dinner for her two children, James, 5, and Grace, 3, inside their Durango apartment on a recent evening. 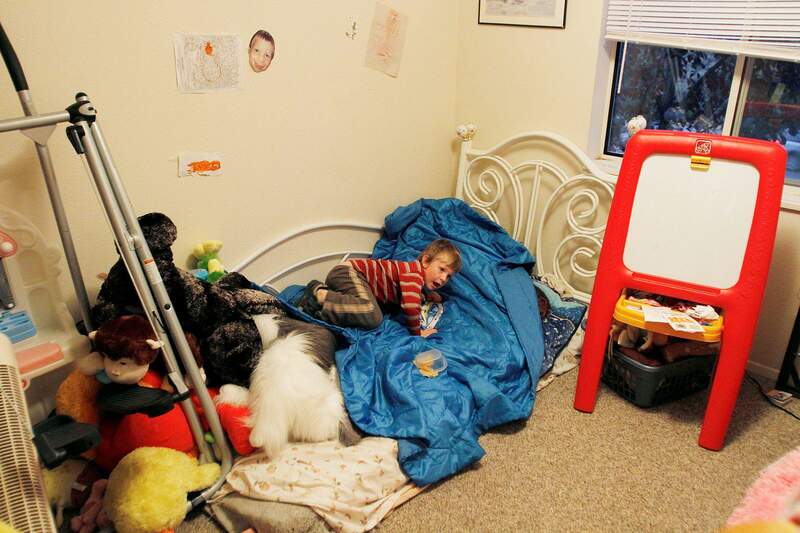 James Pearson, 5, plays in the bedroom he shares with 3-year-old sister Grace. Their mother, Nicole Pearson, faced numerous challenges while obtaining her college degree but hopes the hard work will eventually allow the family to live without needing public assistance. 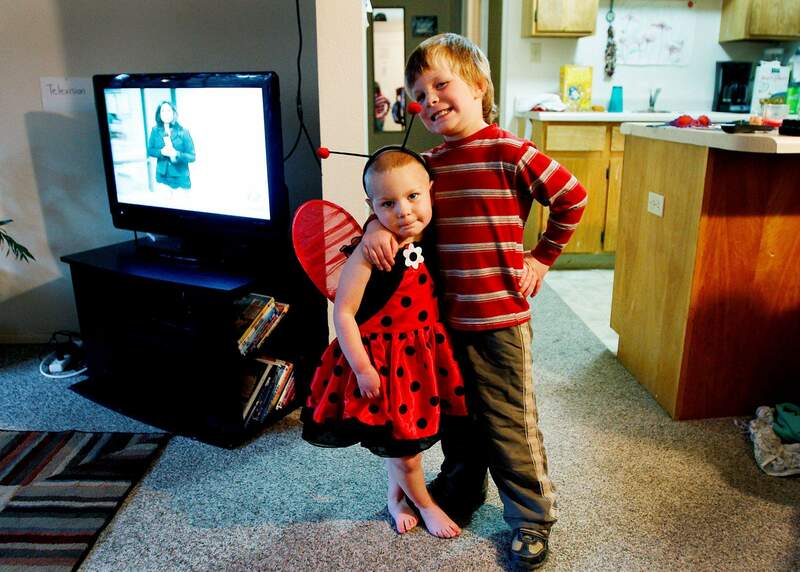 James Pearson, 5, beams with pride over his sister Grace, 3, and her Halloween costume. Their mother, Nicole Pearson, overcame countless challenges in recent years as she completed her college degree and entered the work force while raising two children.